The following constitution is the amended version from 2015. The 2017 ammendments will be published shortly. In the event of any comments or questions please contact the association secretary. 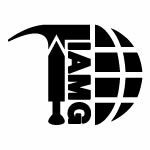 This organization shall be known as the INTERNATIONAL ASSOCIATION FOR MILITARY GEOSCIENCES (IAMG), hereafter called the Association. The main purpose of the Association is to encourage and support research and publication in military geosciences in general, more particularly through the organization of a biennial International Conference on Military Geosciences (ICMG). The Association shall seek to attract the largest possible number of researchers in the field of military geosciences and join with researchers from other fields to pursue certain common objectives and projects. The International Association for Military Geosciences is a not-for-profit organization, administered by its members and represented by a Coordinating Committee. Membership in the Association is free and open to researchers of all countries, with no distinction of religion, nationality, gender or language. Maintaining communications with the members, by means of an open website, and of a newsletter to be e-mailed quarterly to members. The Coordinating Committee will also support the organization of the biennial Conference. Committee business will be conducted by and through a Secretary, appointed by its members. The Coordinating Committee may, from time to time, set up other committees to execute specific mandates. The existence of those committees shall be of a limited duration and their members shall be appointed by the Coordinating Committee. Support and encouragement of research in military geosciences. The General Assembly of the members shall ordinarily be held during the biennial International Conference on Military Geosciences. Members of the Coordinating Committee shall be elected by the General Assembly to serve for two years. The General Assembly shall also discuss and may adopt resolutions submitted by IAMG members. Where the Coordinating Committee deems necessary, a general electronic consultation (email or conference call) shall be held in place of a Special General Meeting to adopt urgent resolutions. English shall be the ordinary language of work of the Association, although any other language may also be used in certain presentations from time to time. This Constitution may be amended by a two-third majority of the members present at the General Assembly. The General Assembly may elect an Honorary President, to serve for a term of four years, to liaise with the Coordinating Committee in achieving the objectives of the IAMG.